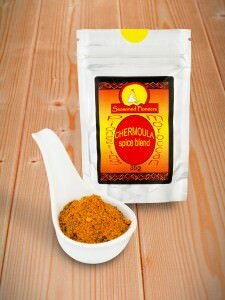 Mix together the Chermoula spice blend, crushed garlic cloves, olive oil, lemon juice and chopped coriander & parsley. Add the fish fillets to the mixture and make sure all of the fish is completely covered by the marinade. Leave in the fridge for at least one hour, so that the flavours can infuse. 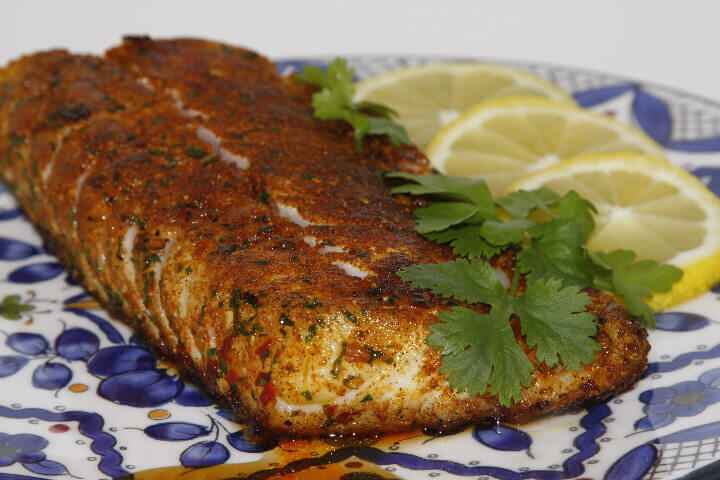 Heat a non-stick frying pan and gently add the fish fillets with any remaining marinade. Cook the fish fillets on one side, then turn gently and cook on the other side, until cooked through. The time will depend on the thickness of the fillets, but should be approximately 5 minutes on each side. Serve with the pan juices poured over the fish. This is delicious accompanied by couscous or rice and salad leaves.